On June 30, 1853, German archaeologist and historian Adolf Furtwängler was born. He revolutionized archeological science with his use of photography for documentation. His use of photography in research supplanted the use of drawings because a camera gives objective reproduction with more accuracy, which enabled fragments to be scrutinized, even when they were miles apart. 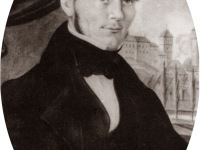 Adolf Furtwängler grew up in a very educated family. His father was a classical scholar and schoolmaster. And also Adolf Furtwängler studied at the University of Leipzig and published his dissertation on “Eros in der Vasenmalerei”. In the following years, he worked in Italy and Greece, financially supported by the German Archeological Institute and was able to join Heinrich Schliemann’s excavations at Olympia. He completed his habilitation in 1878 under Reinhard Kekulé in Bonn. In 1879 he published together with his colleague Georg Loeschcke, “Mykenische Thongefäße”, a complete publication of the Mycennean pottery finds on Aegina, which was not only a valuable chronology but the first corpus of pottery finds in archaeology. This groundbreaking study established the difference between Mycenaean and Geometric pottery and contributed to the developing technique of identifying archaeological strata. As his reputation grew, Furtwängler received several job offers and was appointed assistant director at the Royal Museums of Berlin and as a privatdozent at the University of Berlin. In 1885, Furtwängler’s two-volume “Beschreibung der Vasensammlung im Antiquarium” (Writings on Vase Paining in Antiquity) appeared, a book describing over four thousand objects in a manner still emulated today. In the following years, Furtwängler published numerous brilliant works, he issued a study on Greek gems and their inscriptions, renewed the excavations at the temple of Aphaia in Aigina, and began issuing a corpus of Greek vases along with Karl W. Reichhold. 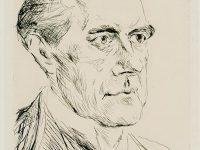 Furtwängler also embarked on writing a history of ancient art, but contracted a case of dysentery in Aigina and died at age 54, cutting short a brilliant career. 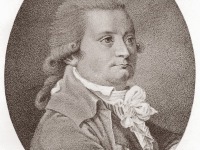 His students formed the most eminent of the next generation of classical art historians and archaeologists including Ludwig Curtius, Oskar Waldhauer, Georg Lippold, and Eduard Schmidt. In his active working years, photography was already widely established, but it was not used very often in scientific documentations. Most archeologists still relied on detailed drawings, however, a truly accurate and objective reproduction was only possible with a camera. 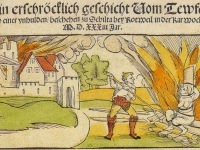 Inspired by Johannes Overbeck, Furtwängler also began using photographs. His work “Masterpieces of Greek Sculpture” contained numerous large format images and Furtwängler managed to establish the art of photography in archeology. Photography enabled fragments to be compared closely, even when they were miles apart. Perhaps the most famous example of Furtwängler’s use of photography to reconstruct a statue, and identify it with descriptions by ancient authors, was the Athena which three authors say Pheidias cast in bronze for the islanders of Lemnos to dedicate on the Athenian Acropolis in the mid-5th century. Furtwängler was able to demonstrate that a marble head in Bologna belonged to a marble body in Dresden. The plaster cast in Oxford unites the two. Furtwängler concluded that the whole corresponded to descriptions by Pausanias and others of the ‘fair’ Athena who wore no helmet. The principal problem besetting the study of Greek sculpture was not the fragmentary condition but the lack of originals. Although ancient sources named famous sculptors and mentioned, or even described their work, most of the examples known to the 19th century were copies. At yovisto, you may be interested in a short video lecture on the History of Photography.